Winter 2019 Playgroup Registration Open Through 1/5! Register for a winter 2019 playgroup by 1/5/19! Sign up information is here. Playgroups are one of the many wonderful offerings of Parents of Tots. These are groups of parents and babies/toddlers who meet regularly for fun, friendship and community building. They're parents just like you, who are hoping to expand their "village" while encouraging social interaction for their children. Most of our playgroups are mixed-aged (we have lots of sibling groups participating! ); however, we typically form one "baby" group each cycle for families with babies under the age of 1 (no older siblings). Participating in a "baby" playgroup is a wonderful way to seek peer advice on all the challenges of raising a newborn! Spring Playgroup Registration is Open! Playgroups will meet from March through June. Members, please register (using the below links) by March 1st! This program is funded by a grant from the Melrose Arts Council, a local agency supported by the Massachusetts Cultural Council in collaboration with the Melrose Congregational Church. The Melrose YMCA also announced their spring session offerings, including swim, soccer, track and field, basketball, ballet, garden and cooking classes for preschoolers. They also offer pre and postnatal fitness classes. Member registration begins February 5th; non-members on February 15th. In anticipation of very chilly weather tomorrow (November 10th), we are relocating our morning meetup from Drumlin Farm to Vinkari Safari in Woburn! Please join us at 9:45! Admission is $10 per child (infants under 7 months are free with a sibling). My favorite holiday, Thanksgiving, has arrived! A special time to enjoy family and friends and celebrate the many blessings of our life, while avoiding much of the commercialization that accompanies so many of our other holidays. As parents, we are constantly working towards raising polite and appreciative young people. While many of us may focus on the use of "manner words" (aka please, thank you, you're welcome), it can be a struggle to develop a sense of gratitude in young children, particularly those who live in a society where their basic needs are met. Head over to our Facebook page to share ideas about how to instill that sense of gratitude in our tots. We'd also love to hear about any of your thankfulness parenting wins! Massachusetts is ripe (pun intended) with some wonderful farms for picking apples and other seasonal fruits. Check out this guide for information on some local hot spots for apple picking. Once you've got a few bushels, why not bake yourself a nice, sweet pie? 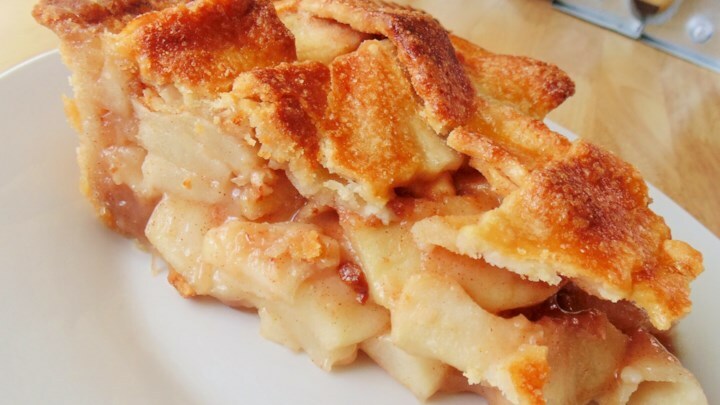 For an awesome homemade pie, try Grandma Ople's recipe. Join a PoT Fall Playgroup! Two playgroups are kicking off this fall - one on Wednesday mornings and one on Friday mornings. Playgroups are groups of parents and toddlers who meet regularly for fun, friendship and community building. We ask that all participants anticipate attending more than 50% of playgroup meetings. After all, building relationships depends on the continuity of the group. If you prefer a more drop-in style group, then we encourage you to check out our Tot Times and seasonal events. The Wednesday morning playgroup will begin on September 13th. The Friday morning playgroup will begin on September 15th. If you are interested in joining either of these playgroups, please sign up via the links above. Registration officially closes September 5th; late additions may be added if space allows.